MDG Advertising just debuted a rockin’ integrated member-communication email campaign to promote the seven main financial products and services available at IBM Southeast Employees’ Federal Credit Union. Year after year, MDG cranks out a new creative ad campaign featuring a series of member-focused emails that each describes one of these seven offerings. 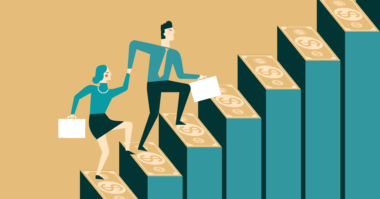 These include auto loans, checking, first mortgages, home equity lines of credit, investment services, online banking, and VISA Platinum credit cards. 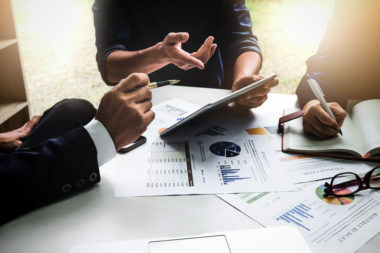 Recent campaigns have achieved stellar results by attaining high click-through rates, attracting numerous new members, and increasing product usage by existing members. For this year’s email campaign, the target audience is Generation Y and the goal is to engage and acquire more of this market as credit union members. As a result, the campaign’s concept is inspired by the popularity of downloading music by the target audience of young adults in the early twenties to mid-thirties age range. The campaign is designed to be both highly interactive and extremely conducive to social media sharing to ensure maximum engagement and exposure among these tech-loving, social media savvy prospects. Click the interactive email to launch the custom player and then turn up the volume! 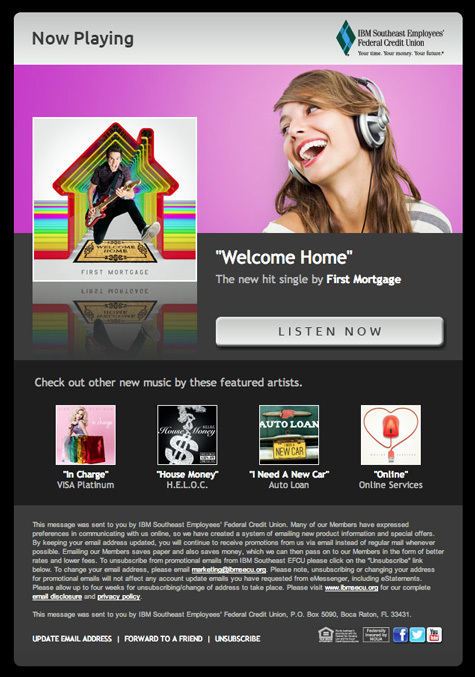 The interactive emails are designed to look like Web pages for downloading music, yet each song is a clever spin on one of the nine financial offerings. 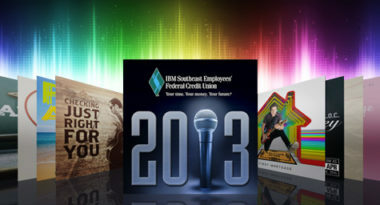 Each is written in a different music genre with lyrics singing the praises of the featured financial product, from checking to credit cards, and filled with hip graphics and fun-loving images of relevant financial activities as album covers. 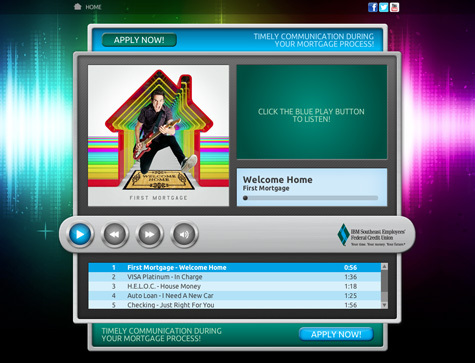 Even the landing page is cool, with its colorful visual effects and convenient “playlist” of all the “songs.” This allows users to see all of the financial services available and easily navigate to the “tunes” that meet their needs. It’s clear that the campaign is perfectly in tune with the Gen Y target market for many reasons. First, these young adults are big fans of downloading music online and have grown up with this digital music convenience. Second, research shows that the key to engaging this young audience is by entertaining them with an abundance of unique and relevant content. This makes the series of interactive emails that prompt them to listen to lots of fun-loving, financial-centric songs while playing to their love of downloading music a perfect fit. Finally, the fact that Gen Y has embraced social media in every part of their lives means that the numerous social components of the campaign, from its online video to its online banking service, should be a hit with the Gen Y audience and inspire them to share the emails with friends. To start your musical journey, click the custom player and then turn up the volume! Make sure to listen to all the hits! To learn how creative advertising can improve your credit union marketing success, contact MDG Advertising. MDG Advertising, a full-service advertising agency with offices in Boca Raton and New York, NY, is a top credit union marketing company, whose clients include IBM Southeast Employees’ Federal Credit Union and Lafayette Federal Credit Union. Our 360° integrated approach uses just the right mix of traditional and digital marketing to reach your membership and sales goals. While some industries may fare better in print and others online, we strive to create a balanced approach, where traditional and digital marketing efforts support each other and your message is tailored to the medium. To learn more about the latest trends in credit union marketing and advertising, contact MDG Advertising.